WHAT: Legislative study on House Bill 3393, the Lindsey Nicole Henry Scholarships for Students with Disabilities Program Act. Under the new law, children with disabilities who have an individualized education program (IEP) qualify for a scholarship to attend any private school that meets the accreditation requirements of the State Board of Education. THE STORY AT A GLANCE: Officials with the state Department of Education will discuss the implementation of House Bill 3393, Lindsey Nicole Henry Scholarships for Students with Disabilities Program Act. The study will include a review of the new rules governing the program, public interest in the scholarship program, and the questions raised by parents. 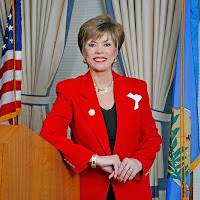 OKLAHOMA CITY (August 27, 2010) – The parents of special-needs students in Oklahoma can now apply for scholarships that allow their children to attend private schools, state Rep. Jason Nelson said today. Under House Bill 3393, children with disabilities who have an individualized education program (IEP) qualify for a scholarship to attend any private school that meets the accreditation requirements of the State Board of Education. The legislation, authored by Nelson and by state Sen. Patrick Anderson, had strong support from many families of children with autism. The state Board of Education finalized the rules allowing implementation of the scholarship program on August 26, and parents can now contact their resident school district to apply for the program, Nelson said. The scholarship program created through House Bill 3393 does not require new spending, but merely redirects existing state funds that are currently spent on the student. Other states with similar laws include Florida, Georgia, Utah, Ohio and Arizona. The Florida program has been in place since 1999 and now serves approximately 20,000 students with special needs. House Bill 3393 closely mirrors the Florida and Georgia laws. The legislation has been named the Lindsey Nicole Henry Scholarships for Students with Disabilities Program Act to honor the memory of one of the Gov. Brad Henry’s daughters, who died of a rare neuromuscular disease as an infant. Lawmakers will soon conduct a legislative study on the new law to seek ways to increase its benefit for Oklahoma families. The first meeting will be held Aug. 31 with a second study date to be scheduled later. At the monthly Oklahoma State Board of Education meeting yesterday the Board voted to approve Emergency Administrative Rules consistent with House Bill 3393 passed during the 2010 legislative session. The rules are disigned to answer questions and provide guidance to public and private schools as well as parents as the Lindsey Nicole Henry Scholarships Program is implemented. This new law becomes effective today. 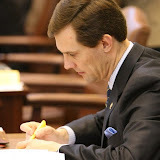 "I've worked closely with the State Department of Education and State Superintendent Sandy Garrett during the drafting of the rules by the agency," said Rep. Jason Nelson, author of HB 3393. "They have done a great job fielding questions about the program and addressing those question in the new rules." Here are the new emergency rules which still must be approved by Governor Brad Henry. It is anticipated that he will approve the rules. (a) Scholarship Requests. When a parent of an eligible student requests a scholarship, they must notify the district of residence. The district of residence is defined as the legal district of residence, unless the child is a child with an IEP who has been on a transfer of any kind for three consecutive years, in which case the district is then defined as the receiving district, as required by 70 O.S. 13-103(d). If a child is on a transfer of any kind, that does not meet the three-year rule, and accepts the scholarship, the transfer is effectively terminated. (b) Payments. Payments will be made to the private school on a quarterly basis upon verification of continued enrollment and attendance at the private school. Payments will be made in arrears, following the completion of each quarter. The payments will be made after the private school provides the public school with a quarterly attendance record for each child receiving the scholarship. (c) Private School Eligibility. In order to be eligible to accept students on the scholarship, private schools must be accredited by the State Board of Education or another accrediting association approved by the State Board of Education. Only school districts within the state of Oklahoma can be accredited by the State Board of Education. No out of state schools are eligible to participate in the scholarship program. (d) Amount of Scholarship. Within ten business days of receipt by the public school district of the parental request the State Department of Education must receive from the public school a request form for a determination of the calculation of the maximum scholarship amount. The State Department of Education must provide the calculation of the maximum amount of the scholarship to the public school in writing within fifteen business days of the receipt of the request. The parent shall be notified of the maximum amount of the scholarship in writing in a timely manner, not to exceed thirty business days from the request. Scholarship amounts will be calculated at the time of the parental request and will not change during the course of the school year regardless of a school district’s mid-year adjustments. The amount of the scholarship will be calculated annually as required by 70 O.S. 13-101.1, Section 2(F)(1). (e) Tracking. School districts providing scholarships shall annually report for child-count and funding purposes, all students who are attending a private school under the scholarship program to the State Department of Education. Students must be reported as Lindsey Nicole Henry Scholarship Students on both the Special Education Child Count and the First Quarter Statistical Report (FQSR) and the Annual Statistical Report (ASR). These scholarship students will also be tracked through the WAVE. 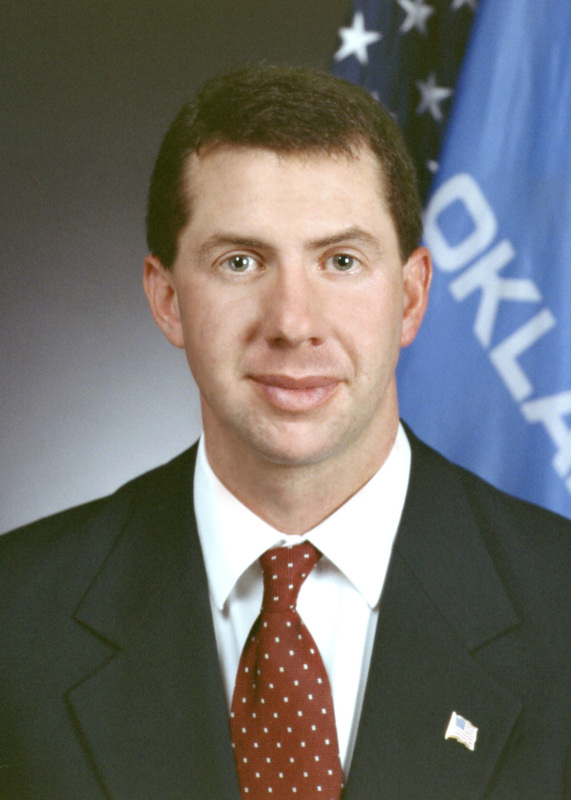 OKLAHOMA CITY (July 28, 2010) — House Speaker-Designate Kris Steele announced today he intends to make changes to the conference committee process in the House that will make the procedure more transparent and open to the public. Beginning next legislative session, Steele said he plans to put in place a hard 24-hour rule that will require a House conference committee report to be filed and posted online for a full day before it can be considered on the House floor. Currently, House rules require House conference committee reports be posted on the calendar at least 24 hours for review. But, that rule is waived in the last two days of session. 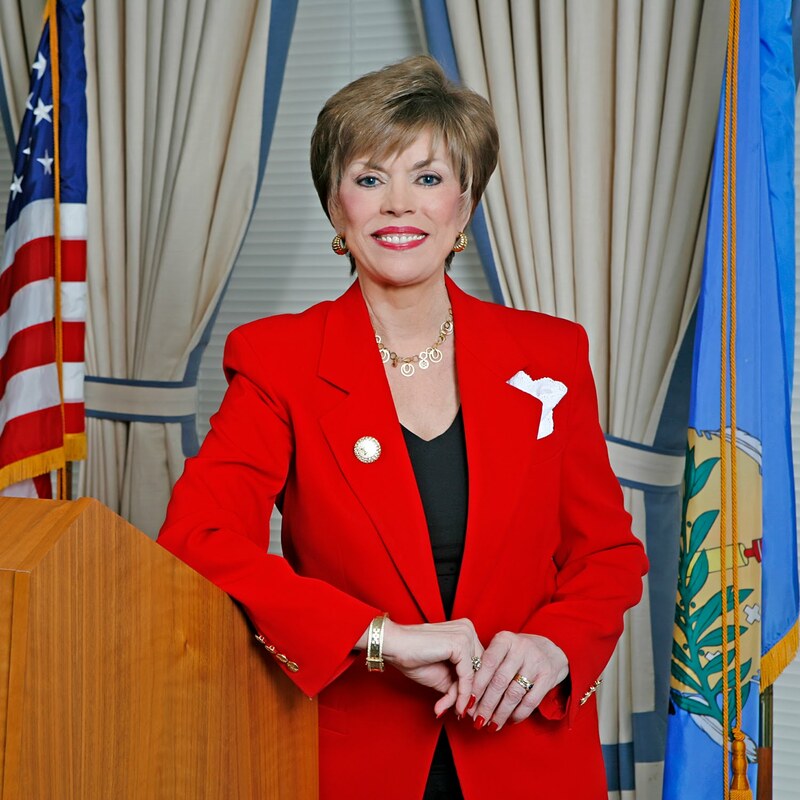 Keeping the 24-hour rule in place throughout the entire conference process will give members, the public and the press time to read bills and better determine their impact on Oklahomans, said Steele.